FRESNO - The 2014 Fresno Food Expo, presented by Union Bank, is anticipating debuting the innovative new products, varietals and packaging concepts entered into the New Product Awards, presented by Baker Peterson Franklin CPA, LLP, that recognize industry trendsetters and look to build community and consumer awareness about the diverse food products grown and manufactured in California’s San Joaquin Valley. A total of 44 new products were submitted to the New Product Awards from 35 different San Joaquin Valley-based companies, ranging from fresh and frozen produce; to flavor-infused water, tea, wines and liquor; to specialty ethnic foods and value-add fruits and nuts; to specialty dips, sauces and seasonings; and everything in between – all highlighting the rich diversity of food and beverage products coming from the region. All products entered are competing for the Buyer’s Choice Award and the People’s Choice Award. Public voting for the People’s Choice Award is now open encouraging the public to share their thoughts as a consumer on what innovative new products stand apart in the marketplace and peek their interest. A photo and brief description of all 43 products submitted as part of the Fresno Food Expo New Product Awards can be viewed at www.FresnoFoodExpo.com by clicking on New Product Showcase or by visiting the Facebook page atwww.Facebook.com/FresnoFoodExpo. Votes are counted by the number of “Likes” on Facebook combined with the votes cast by email through the Fresno Food Expo website between now and the Fresno Food Expo public event. After voting for their favorite new products, the public is encouraged to buy their tickets for the Fresno Food Expo on July 24, 2014 in order to take advantage of the opportunity to discover the local thriving food industry and create a renewed sense of pride in what is offered in the San Joaquin Valley. The winner of the People’s Choice Award will be announced that night by Fresno Mayor Ashley Swearengin at approximately 6 p.m.
Last year, public voting on the Fresno Food Expo website and Facebook page captured more than 5,000 votes during the three-week voting period – eventually crowning Rosa Brothers Milk Company as the People’s Choice Award winner. The attention garnered through the People’s Choice Award boosted product awareness online and gave added promotional value and marketplace energy to all 33 participating companies and the San Joaquin Valley as a whole. Additionally last year, Cold House Vodka’s Cake Batter Vodka and Bella Viva Orchards Pure & Natural Dried Fruit Slices were awarded the “Industry Award” – renamed this year as the Buyer’s Choice Award – after a tie was determined by the judging panel. During an exclusive New Product Awards preview event on June 18, all New Product Award entries were reviewed, ranked and narrowed to 10 products by a panel of marketing and food industry leaders, and the finalists for the Buyer’s Choice Award were announced by Fresno Mayor Ashley Swearengin. Celebrity judges bring extensive experience to the awards with their unique understanding of an ever-changing consumer market from different categories within the food buying industry, but equally value the introduction of new, innovative products and concepts within an astute and very competitive industry. Often referred to as the bread basket of the world, the San Joaquin Valley grows, manufactures and distributes enough food to feed over one-third of the nation every single day. The region has branded itself as an ideal place to find local sourcing solutions, innovative products and leading-edge packaging. The region’s proximity to fresh products and access to markets around the world, has not only made this region the most productive place for growing and processing food and beverage products, but has become the powerhouse for innovation in the food industry. Food and beverage companies located within the 8-county San Joaquin Valley region can still sign up as an exhibitor for the 2014 Fresno Food Expo at http://fresnofoodexpo.com/registration/exhibitor-registration. The 2014 Fresno Food Expo will be held on Thursday, July 24, 2014, at the Fresno Convention & Entertainment Center New Exhibit Hall. There is a closed business-to-business portion starting at 9 a.m. that is only open to pre-registered and pre-qualified buyers and a public event in the evening from 5 p.m. – 8 p.m. Tickets to the public portion are $40 and can be purchased at any Ticketmaster Box Office or online at http://fresnofoodexpo.com/registration/public-tickets. 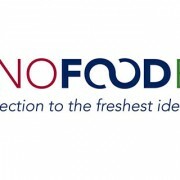 For more information about the public event and ticket discount opportunities, visit www.FresnoFoodExpo.com.